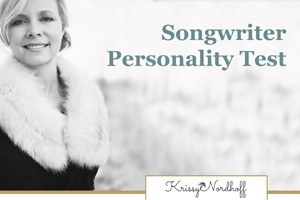 Krissy Nordhoff is a songwriter, worship leader, and the writer of many well-loved songs, including Your Great Name, Mercy Tree, and hundreds more. Krissy Nordhoff is an independent worship songwriter, worship leader, and writing mentor, and the writer of many well-loved songs, including Your Great Name, Mercy Tree, and hundreds more. Download free Chord Charts for Your Great Name, Canyons, Mercy Tree and more! Whether to record or use in video, request a license to use Krissy’s songs here. Featured Videos of songs that Krissy has written or co-written. Subscribe to get Krissy’s devotionals, behind-the-song stories and much more straight to your inbox! On this site, you will find many resources to help you become a better songwriter! 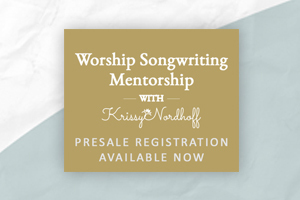 Join the Worship Songwriting Mentorship!